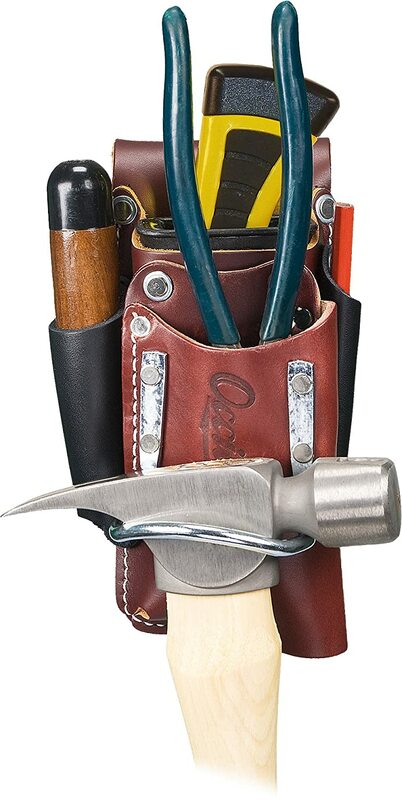 Carrying the tools you need in a leather tool belt pouch makes many DIY and gardening tasks a lot easier, and safer too. Until I used one, I found myself continually going up and down ladders when working on the house, just for a change of tools. You can’t always take everything you need up a ladder and still be able to work safely. You need to be able to steady yourself with one hand whilst working with the other. When you’re carrying your tools at waist level, you have all that you need in an easily accessible place, and you have a free hand to ensure you are secure up the ladder. ​Individual tools are kept in their own position on the belt so you always know where to reach for the one you want. 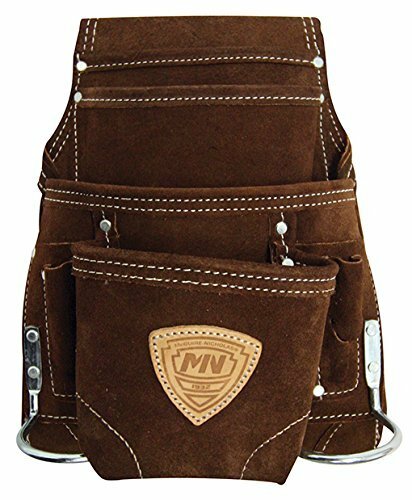 Made of heavy duty durable suede leather. Ten pockets - 4 main and 6 smaller pockets. Smaller 8 pocket version available. Supplied either with or without a belt *. 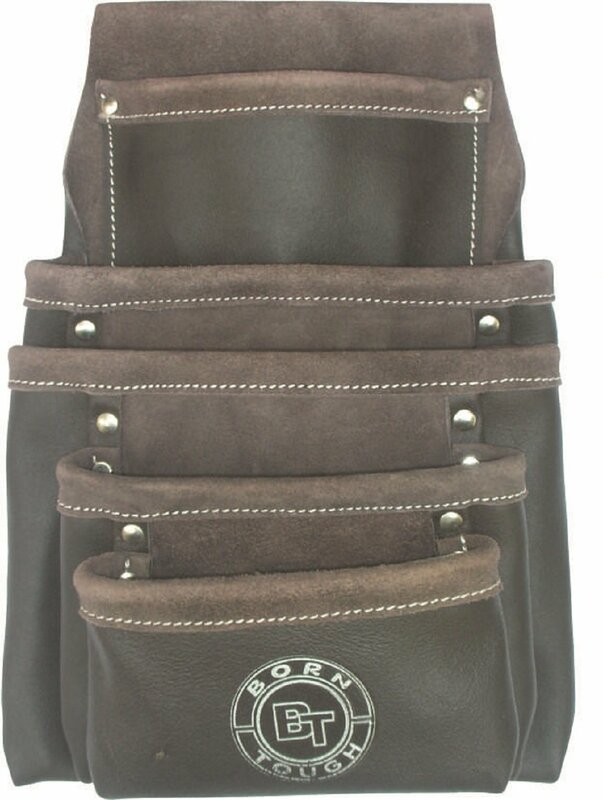 Sturdy 5 pocket leather pouch. Full size pockets only - no specific tool holders. Wide belt slot - you need to buy a belt separately. 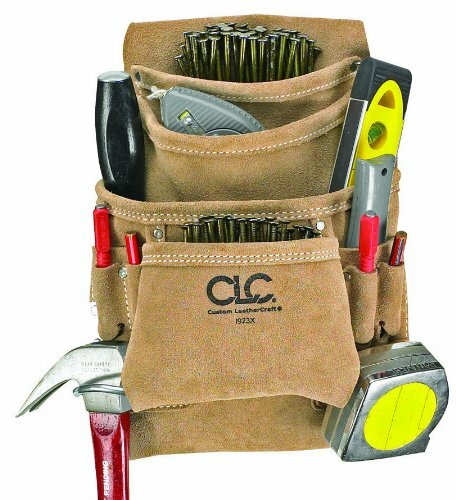 Compact leather tool pouch for minimal tool load. It may be small but will still require a decent belt to carry the weight. Fits perfectly on the hip. Eleven inch 10 pocket pouch. Made of durable suede leather. 2 metal hammer hoops - ideal for left or right-handed users. 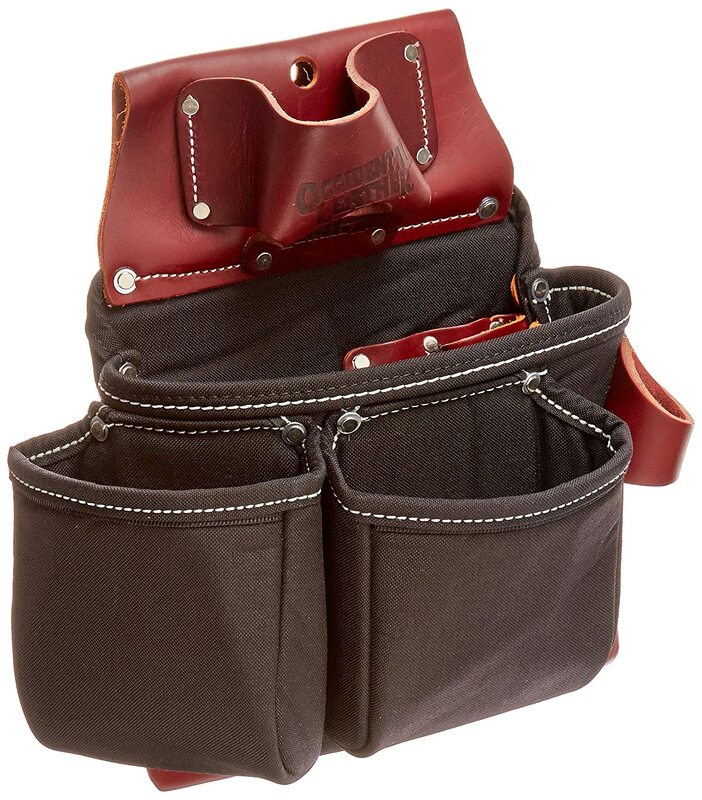 3 large tool pockets for many types of tools and work aids. Not available in left-hand mode.